Infinidat » Storage with No Compromises: What Does This Mean? Storage with No Compromises: What Does This Mean? So, as many of you know I started at INFINIDAT a few months ago doing product marketing. I like to think that a big part of my role is helping to tie technology to business value. In doing so, I feel that a big part of that process comes with the words we use. 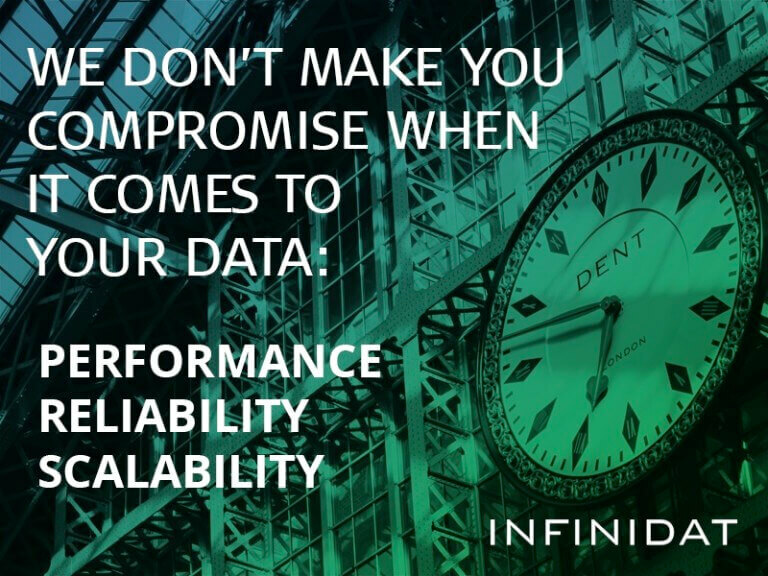 One of INFINIDAT’s big value propositions is around our four key tenets of performance, availability, scale and affordability, and the fact that IT no longer needs to compromise between these fundamental storage characteristics when buying a solution. This got me to thinking. What does “No Compromises” mean? How does it translate into business value? As part of my early work in this new role, I was working on a document that explains “Why INFINIDAT.” One section talks about how we help our clients in different vertical markets. In order to do a good job and talk about what makes InfiniBox good for each industry, it is important to know what each industry thinks is important from a storage array perspective. As I started to lay out the key characteristics by industry, something interesting, but not unexpected emerged. They all need the same thing — high performance, great reliability and availability, and large capacities, all at an affordable price. True, some verticals may weigh each of these characteristics slightly differently, but fundamentally, each of these characteristics are important in order to drive the competitive business process. The next step is to then make tradeoffs between these characteristics in order to lower the cost. It seems credible that in order to have the most competitive advantage, one would want all of these characteristics to be 10’s. But if you can’t afford all 10’s, how does the business ‘compromise’? Businesses end up doing things like removing some flash capacity for performance and see what that does to the price. 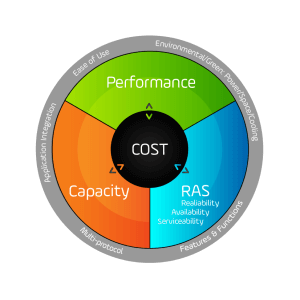 Then they may look at different RAID types, disk types and capacity drives to balance cost and reliability. So here is a question, are storage needs going to stop growing? No. So why compromise on capacity? When you need access to your data, aren’t you going to “need” that data? Why compromise on availability? And if you could process data faster, wouldn’t that make you more competitive? So why compromise on performance? The reality is that there needs to be a new way of thinking when it comes to engineering a storage array. One that starts from the ground up and looks at these characteristics and brings them together in such a way that there is no longer a need to trade off one important characteristic for another. The array also needs to be priced in such a way, that even by assigning all of the characteristics a ten in terms of importance, the price is so disruptive, that you can’t help but to take a deeper look at the technology. Think about it, if the system can overachieve on all your performance needs, ensure 99.99999% reliability, and can scale to allow you to store as much data as you want in order to do better data processing or analytics, wouldn’t that give your business a competitive advantage? In addition, obtaining all of this at an affordable price point, again, reduces overall costs (both CapEx and OpEx), which in turn helps to increase margins or provide more budget for other solutions that will help the business to compete in the market. INFINIDAT’s InfiniBox provides almost 1M IOPs, 7 x 9’s of availability, >2PB in a single floor tile at a disruptive price point. That means IT no longer needs to make tradeoffs between the three most important characteristics in a storage array based on affordability. 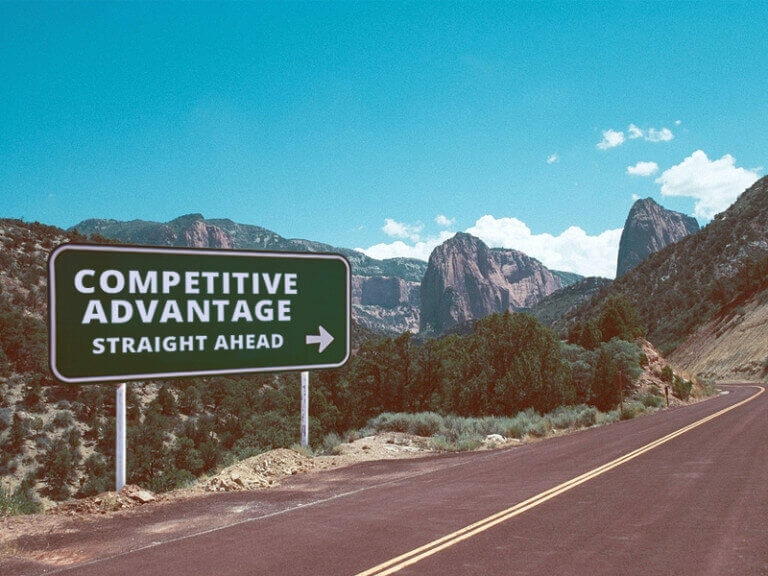 INFINIDAT wants to enable every business to have the most competitive advantage they can and it starts by taking some of the costs out of the infrastructure and putting it back into business processes that drive competitive advantage. When other storage vendors are looking to figure out new ways to get better margins for their systems, INFINIDAT is looking at ways to lower the costs of the array, including serviceability, uptime, RAID characteristics, etc., that help with availability and reliability that all translates into greater affordability. Businesses need to start looking at the data requirements of the business, not just for today, but for three to five years from today and demand a system that can satisfy those needs. That is a strategy. It’s time to start focusing on the business and stop worrying about the technology.